First up, if you missed it last month on Crosswalk, Patheos has re-posted my article "The Writer as Madman and Mystic." It may be the only time that Ernest Hemingway, C.S. Lewis, Philip Yancey, Elizabeth Gilbert, and Stephen King have ever been grouped together. I had a lot of fun writing that article. You could do me a great favor by sharing it on Twitter and Facebook and in any other place that you feel so inclined. 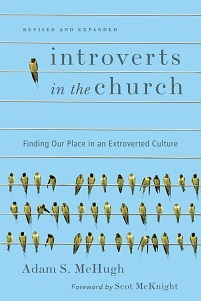 Second up, my friend Susan Cain has started to blog, which is good news for introverts everywhere. Her blog is called The Power of Introverts. Susan is the author of the forthcoming book Quiet: The Power of Introverts in a World that Can't Stop Talking, which will be out in about a year. Guy Kawasaki, the former "chief evangelist" of Apple, has an advance copy and has already tweeted that it will be a bestseller. Susan and I visited Saddleback Church together a couple of summers ago, and our experience will be included in her book. She has a new post today about introverts and public speaking. 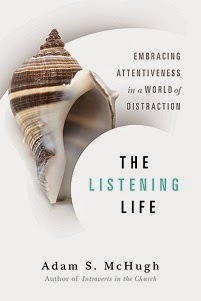 Malcolm Gladwell said that public speaking is not an act of extroversion but of "performance." Thus, both introverts and extroverts can do it well, because it's a separate skill from temperament. I devote a few pages to introverts and public speaking in my book, and I'd love to hear more what you think about that.